Aqua Smile Dental is excited to deliver this promotion to patients in Hoppers Crossing, Werribee, Point Cook, Tarneit, Wyndham Vale and surrounding suburbs. Call us now to take advantage of our orthodontic promotions on 03 9748 7271. Traditional braces involve the temporary bonding of metal brackets onto the surface of your teeth. These brackets are connected by a metal wire and through periodic tightening and adjustments, the combination of forces acting on the brackets and wires will gradually shuffle your teeth into the proper positions. 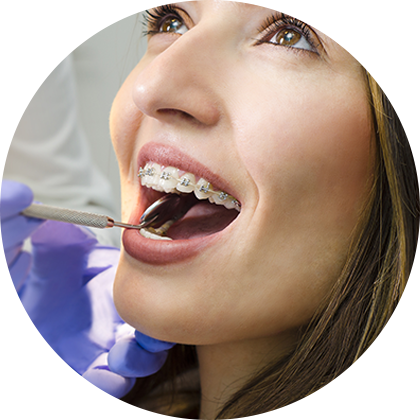 These traditional braces are the gold standard of orthodontic treatment. When receiving braces in Hoppers Crossing at Aqua Smiles Dental, we retain the gold standard and also incorporate the latest innovative concept of "individualised orthodontics". This means that instead of utilising a "one size fits all" approach, we specifically customise and design every single bracket to your tooth. This advanced orthodontic tool ensures that your treatment is fast, effective and efficient.